Philip K Jones is one of the most experienced Holmes reviewers in the world and maintains the world’s largest database of pastiches. He was particularly keen to review Sherlock Holmes and The Strangers Room as it contains more than forty short ‘pastiches’ which Phil nicely refers to as ‘moments’ rather than mysteries. This is a fascinating collection that we savoured the first time we read it and we agree with Phil that some of them are an excellent insight into the true Holmes and Watson. “This is a collection of Sherlockian items that were originally published on the Internet. Some of them have been revised for this publication and some remain in their original forms. In contrast to the usual Sherlockian anthology, this book is an assembly of fragments. Each item is complete and entire, but they mostly catch moments, not stories. Some are complete mysteries, with villains to catch and investigations to be performed, but, mostly, they are visions of Holmes and Watson, along with Mrs. Hudson, Inspector Lestrade and the irregulars at particular moments. Some of these moments are quite important, but that is all they are, moments. A number of these items center on Christmases, mostly those following Holmes’ return from the Great Hiatus. 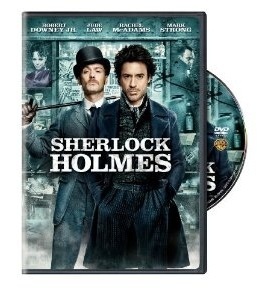 In general, the entire collection celebrates the change of Holmes into a human being. His boyhood is suggested as lonely and neglected with Mycroft as his only real human contact. His association with Watson is depicted as the source of his growing humanity and these tales seem to capture the moments he sees other people as more than simply data to be integrated into his catalogue of human activities. Many of the items are authored by the editor, David Ruffle. He confines himself, mostly, to short pieces and to the area of Puns. Two of his creations are presented, both of which easily merit inclusion in any collection of Sherlockian narrative puns, if such can ever be published. Poems are also included. These are strictly outside my areas of expertise, but I do concede that they definitely convey impressions of the individuals they portray. Sherlock Holmes Tales From The Strangers Room is available through all good independent booksellers including Classic Specialities and the Mysterious Bookshop (NY) as as well Amazon and in all electronic formats such as Amazon Kindle. 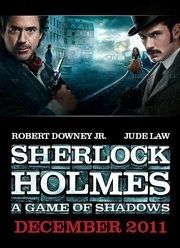 There is a real sense of excitement amongst Sherlock Holmes fans as we enter autumn 2011. The filming of the new series of the BBC’s Sherlock promises the next episodes in the spring, and teasers for the new Guy Richie film ‘A Game of Shadows’ get shared almost the instant they are made public. It is wonderful time to be a Sherlock Holmes publisher as well. The resurgence of Sherlock Holmes through the films and BBC series has created a whole new era of fans, and has meant that we will end up having published around twenty new Holmes related books in 2011, including those from a dozen new authors. To put that into context, in previous years, that would be more books than we would publish in total. We have a host of new books coming out in the next couple of months all of which are listed below, but first a quick summary of what has happened this year so far. Book of the Year. Sherlockian history is where we started as a Holmes publisher and remains central to our publishing strategy. Any Sherlockian interested in Conan Doyle will have already added Alistair Duncan’s fourth book An Entirely New Country to their Christmas list. It comes out early December and covers the time ACD spent at Undershaw – the timing being important as Undershaw faces destruction [you can find out more at the excellent website Save Undershaw]. A big thank you in particular to Alistair, Paul and Brian. Having three of the most important Holmes historians in our fold is a very important part of MX’s progress in the field. History is vital, but as you can imagine it is the new mysteries and pastiches that are proving to be our best-sellers with their wide appeal among Holmes fans old and new. Both short-fiction and novels are proving popular, with short-fiction probably the higher sellers as they are often seen as the most accessible. The Lost Stories of Sherlock Holmes (Tony Reynolds) is our top seller with more than half of the sales on Amazon’s Kindle. Another new short-fiction collection The Outstanding Mysteries of Sherlock Holmes (Gerry Kelly) came out at the end of May and is starting to get a following as well. Following the launch of our US office and website our US author base grew significantly this year. Felicia Carparelli’s Murder in the Library is a modern mystery set in Chicago which has just been picked up for translation into Italian, and Kate Workman’s first (of five so far) novel Rendezvous at The Populaire tackled the tough type of pastiche, the cross-over with Holmes taking on The Phantom of The Opera. The next in the series from Kate, I Will Find The Answer sees The Phantom return and the introduction of Dr.Jekyll. A more traditional pastiche, is Keiran McMullen’s excellent Watson’s Afghan Adventure which has drawn a big fan base for the high level of military detail – his blog, and especially his series entitled ‘The Many Watsons‘ has been extremely popular. Molly Carr took a brief break from the Watson and Fanshaw series (The Sign of Fear and A Study in Crimson) to deliver In Search of Dr. Watson a very detailed biography. The next in her female Sherlock Holmes series is due out in the spring. Tracy Revels from South Carolina pleasantly shocked many Holmes fans with her fantasy pastiche Shadowfall – the dark story surprising many as although it is a fantasy pastiche, it’s quite dark and has already become one of our bestsellers – helped by a very haunting cover. In June we were joined by Dr.Dan Andriacco with a real treat in Baker Street Beat. Not only a book, but a quite wonderful blog [BSB Blog] it’s a collection of in his own words ‘scribblings, ramblings and general Holmes stuff’. The book contains not only a very strong pastiche, but advice on how to write your own. The London Society described reading the book being like “chatting over a drink with a knowledgeable fellow Holmesian.” High praise indeed. June also saw the most important mystery of all finally put to rest. The Case Of The Grave Accusation tells the story of the real life murder accusation of Sir Arthur Conan Doyle, the creator of Sherlock Holmes and undeniably father of all modern crime fiction. Told in the form of a very funny pastiche, where Holmes and Watson travel forward in time to clear the name of their creator, the book also includes all the evidence required to finally refute the terrible charges that ACD committed murder, adultery and plagiarism of his close friend Bertram Fletcher Robinson. A wonderful collaboration between cartoonist Dicky Neely who wrote the original pastiche and esteemed historian Paul R Spiring make for mandatory reading for all Holmes and ACD fans. So what’s coming up this autumn? Well, a good mix of new authors and new titles from existing authors. First up on the 5th September is A Case of Witchcraft coming from an expert on witchcraft, Joe Revill who weaves a great pastiche in with his specialist subject of the occult. Also in September (20th) is an epic, and we don’t use the term loosely, Barefoot on Baker Street. Charlotte Anne Walter’s debut novel covers the entire life of workhouse orphan Red who, during her tough and crime filled life encounters Holmes while she is working for the criminal mastermind Moriarty. Simply stunning. October sees the first book with MX from an established Holmes bestselling writer Thomas Wheeler. We are so happy to get this one as its pretty special. See The London of Sherlock Holmes is a mammoth 400 page opus that includes every single London location related to the Holmes stories, as well as a full character listing. The really clever part of the book, is that it includes street level co-ordinates and Googlemap links so that all electronic versions will enable the reader to ‘walk in the steps’ of Holmes at all the locations. Google’s streetview means that you can jump into any of the locations from the stories and see the real life London streets in front of your eyes – understandably this book took Thomas years to put together and will we are sure become an invaluable exploration tool for all Holmes fans. On the 2nd November a new author arrives called Gerry O’Hara with his debut Holmes novel Sherlock Holmes and The Affair In Transylvania. Calling Gerry ‘new’ is a little misleading as Gerry is a former film producer with literally hundreds of film and TV credits to his name, including episodes of The Avengers. This is one of three books Gerry has out this year including his autobiography entitled ‘She Called Me Mediocre’, the title having come from Joan Collins with whom Gerry worked. You may not be surprised that there is already film company interest in his take on Sherlock Holmes and Dracula. He has a detailed website showing all his projects at GerryOHara.com. 9th November sees Dr.Dan follow up the success of Baker Street Beat with his debut novel – No Police Like Holmes. It’s not a pastiche, but a modern mystery and the introduction of a new hero Sebastian Mcabe. Holmes fans are going to love (or hate) the first outing as it takes place in a Sherlockian event (deerstalkers and pipes abound) where there has been a murder and Dan pulls no punches with the Holmesian stereotypes that are the prime suspects of the foul deed – very, very funny. A big thankyou to the growing fan base of the Sherlock Holmes and Arthur Conan Doyle Books group on Facebook and the tens of thousands of fans on Twitter. You make us smile every day ladies and gentlemen and we look forward to delivering quality Holmes fiction for decades to come. There are many different types of Holmes pastiche and its an area that’s growing fast for us as a publisher. The most common is what many refer to as a ‘traditional pastiche’. Telling new stories, in the style of Conan Doyle, with the same characters, in the same time period. When you read a good traditional pastiche, you can imagine that it could have come from the pen of Conan Doyle. Within this genre, there are short story collections, like The Lost Stories of Sherlock Holmes (Tony Reynolds), and The Outstanding Mysteries of Sherlock Holmes (Gerard Kelly) that follow the mini-story format. 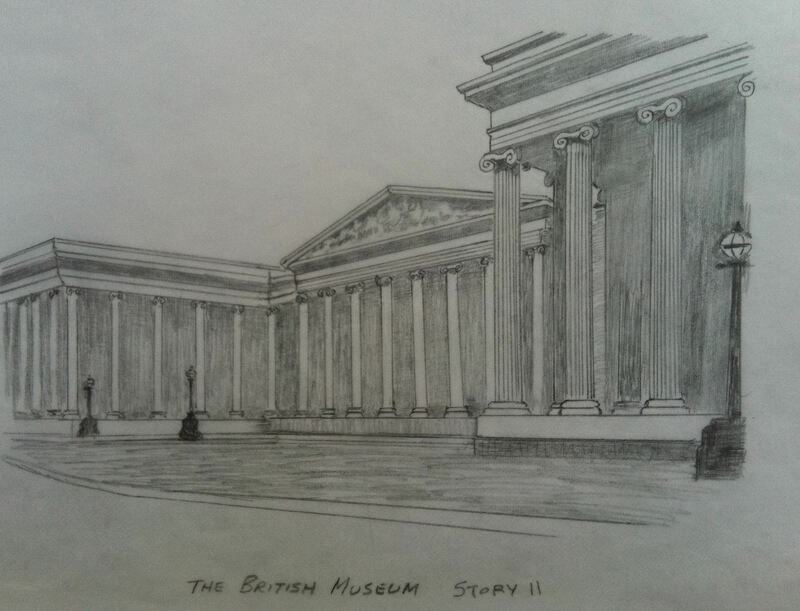 Adding to the authenticity both of these include drawings similar to those that appeared alongside the Holmes stories when published in The Strand. In the traditional style you also have novels. We’re delighted to have our first example in Rendezvous at The Populaire which is a fascinating encounter pitting Holmes against The Phantom of The Opera. We have great hopes for this series as there are already four more mapped out. Both Guy Richie’s Sherlock Holmes and the BBC’s Sherlock are not traditional pastiches, but for very different reasons. Richie keeps to Victorian London, but strays away from the original in a number of areas, not least in the interests of heart stopping action. Though the originals had plenty of action, they weren’t littered with explosions and chases. The BBC have stayed much closer to the original characters, but changed the setting to the modern day. The genius of having Holmes issue simultaneous ‘Wrong’ texts to the assembled press at the Lestrade press conference makes me smile every time I think of it. It has been very interesting to hear the views of the ‘traditionalists’ when it comes to the above two new interpretations. By and large there is wholesale support for the BBC and clamour for more episodes. Richie in my humble opinion was in a no-win situation as far as the traditionalists were concerned. Nobody would ever be able to compare to Jeremy Brett and Basil Rathbone’s images of Holmes, yet a reconstruction that was very traditional would probably have bombed at the box office, so I think he’s got the mix about right. A whole new generation of fans are enjoying Holmes on the big screen. Take one look at the Sherlock Holmes group on Facebook for the movie with its 1.4 million fans and you can see that the age range spans across all generations. The next group of pastiches is still set in the original setting of Victorian London, but takes either new characters and weaves them into the original stories, or takes an aspect of the originals and expands on that particular element. Both these areas can be done both seriously and/or with humour. The latter is very evident in the series of stories from Molly Carr. Molly takes the character of Mrs.Watson and makes her the central heroine. She adds a side kick in her friend Emily Fanshaw. Molly’s novel follow similar storylines, in the Victorian timeframe with Watson and Fanshaw having their own adventures. Their first outing The Sign Of Fear had the traditionalists up in arms that you could have a ‘Female Sherlock Holmes’ but even those that set out to be annoyed were won over by the humor in the writing which was further exhibited in the second book, A Study In Crimson. Molly stretches the boundaries by pulling in characters from other novels as well. Emily finds herself (many times) dressing as a man to ensure they can progress in several situations where the Victorian era dictates ‘only men can tread’. More traditional and rather more serious are those focussing on the life of Dr.Watson whose character played second fiddle to Holmes and where Conan Doyle left many questions unanswered – great gaps for a pastiche writer to exploit. Take Kieran McMullen. An ex-military man himself (following the old adage about writing about what you know) Kieran decides to answer the many questions about Watson’s military career by writing an entire pastiche novel around it. Watson’s Afghan Adventure as the name suggests covers Watson’s time as a military doctor in Afghanistan. There are several sub-adventures involved in true Conan Doyle style, but the book has a lot of military detail and has been well received by Holmes fans – and extremely well by Watsonians. One look at Amazon USA shows the glowing reviews for the military authenticity. Keiran’s blog has several articles supplementing that detail. Such biographies of the key characters are popular. Molly Carr took a break from her Mrs.Watson series to deliver what some regard as her seminal work – In Search of Dr Watson – a very detailed biography. Molly has a distinction in Watsonian studies and it shines through. It is very interesting to note that pastiches appear to be very popular on Amazon Kindle. Perhaps because ebooks have been more popular for fiction rather than historical books, and also perhaps because the original stories are available for free on Kindle and other eBook formats. The final group of pastiches is the one most removed from the original. The ‘fantasy’ or ‘fantastical’ pastiche takes elements of Holmes, in the case of Shadowfall the main characters, and puts them in situations that are quite a long way from Conan Doyle’s style, location and storylines. In Shadowfall within the first few pages we are introduced to rather nasty fairies (not pretty little things at the bottom of your garden these) and we go on an increasingly dark journey where Holmes is battling to save the soul of Watson. It is the very detached pastiches that many Holmes historians struggle with but ironically seem the most popular with the fans. Shadowfall has topped the MX charts since its launch in March 2011, closely followed by The Lost Stories of Sherlock Holmes. It will be very interesting to see which has the more enduring following and in which formats. We also should mention, linked to pastiches are those novels/thrillers that are linked to Holmes through their storylines. Murder In The Library by Felicia Carparelli is one of those. A the book centres around a character who is a big Holmes fan and (without spoiling the plot) the solving of the case requires all their Sherlockian knowledge. You can engage with all our authors at the Sherlock Holmes Books Facebook Group and find all our books on our websites. We now have sites for UK-Europe, USA, Canada, India, and Hungary.